Volunteers throughout Aspirus say that they receive so much more than what they give - new friendships, intellectual and spiritual growth, and a new sense of inspiration. Make a positive impact by joining more than 1,000 volunteers in providing compassionate care to those who need medical services. Your efforts will touch the lives of patients and their families - either directly or behind the scenes. Everyone has something to offer. As a volunteer, you will have the opportunity to share your unique gifts and talents. There are opportunities to fit anyone's interests, abilities and schedule. Use the links below to find specific information for current and prospective volunteers at our various locations. Opportunities at Aspirus Langlade Hospital. Opportunities at Aspirus Medford Hospital. Volunteer and Auxiliary opportunities at Aspirus Riverview Hospital. 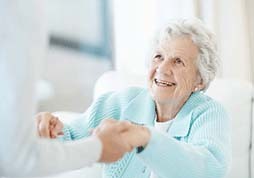 Opportunities at Aspirus Wausau Hospital and Aspirus Comfort Care and Hospice Services. Opportunities through Aspirus At Home - Michigan. Volunteer and Auxiliary opportunities at Aspirus Ironwood Hospital. Opportunities at Aspirus Iron River Hospital. 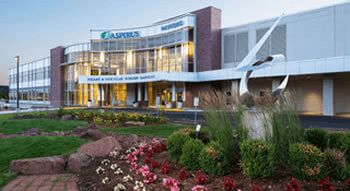 Opportunities at Aspirus Keweenaw Hospital.